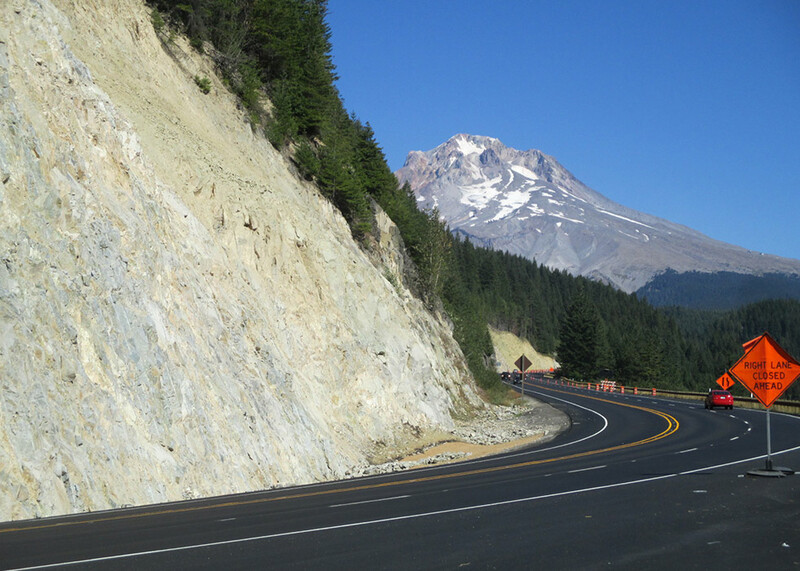 With an average of 10,300 travelers each day, U.S. Hwy 26 is an important gateway to Mt. 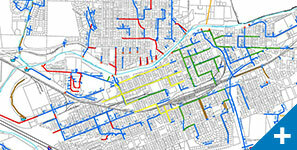 Hood for locals, trucks, and skiing enthusiasts alike. 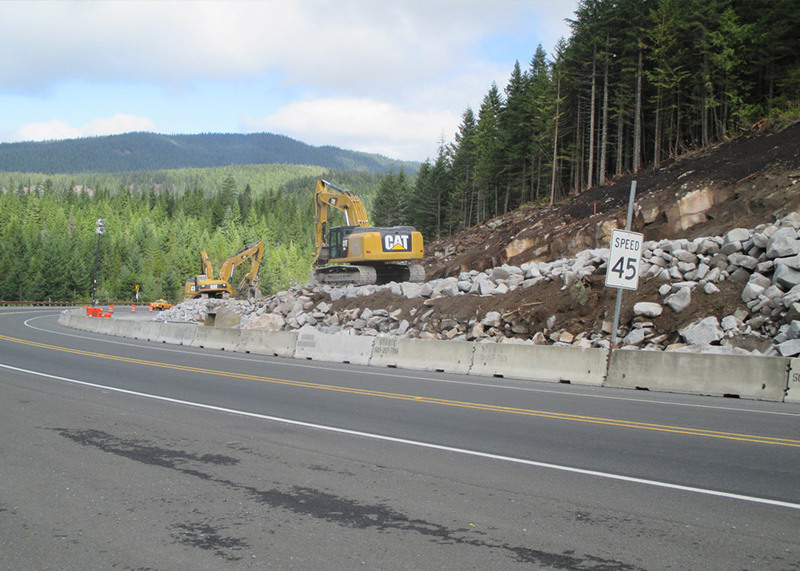 The goal of this $25 million, full federal oversight project was to improve safety and modernize a stretch of highway that has a history of severe crossover crashes, rock fall hazards, increasing traffic, and stormwater runoff into adjacent sensitive streams. 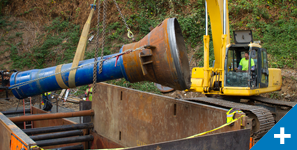 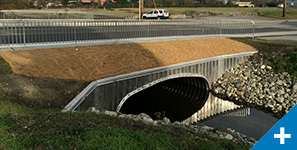 Working closely with ODOT’s Region 1 Geo/Hydro Unit, Murraysmith led the hydraulic elements of the project, including storm drainage, stormwater management, and erosion control. 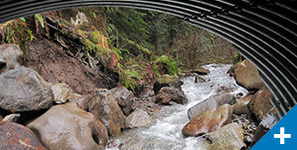 Murraysmith developed the Stormwater Management Report and utilized the rock fall catchment area for drainage and stormwater management. 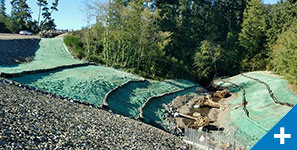 The team also implemented designs for several LID techniques that promoted sheet flow and infiltration in existing vegetated areas along the 2.8-mile corridor. 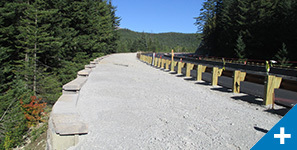 In addition to handling the typical roadway pollutants, the drainage and water quality system was designed to accommodate the sanding and snowplow activities that regularly occur in the area. 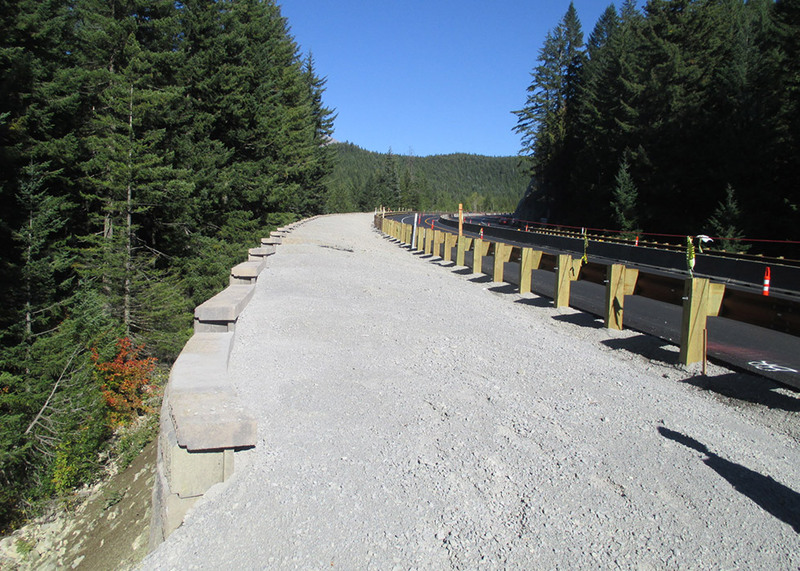 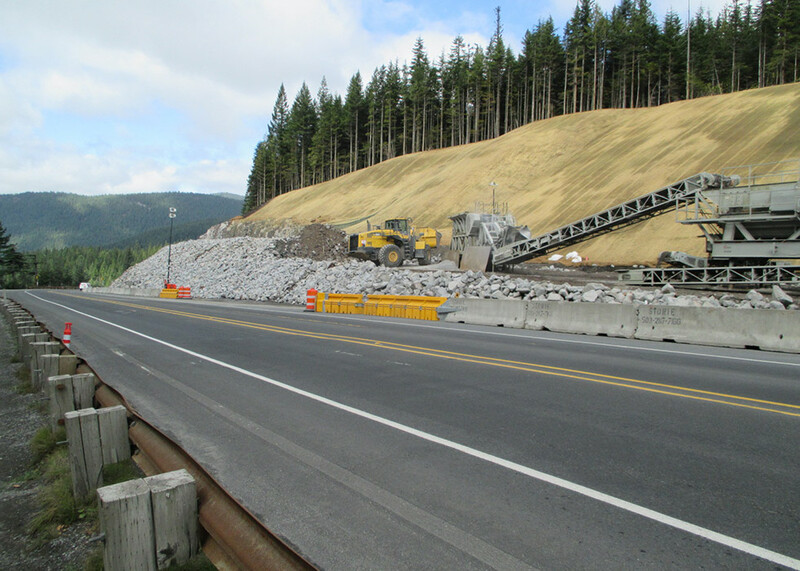 Additionally, Murraysmith performed independent InRoads modeling of the rock cuts along the project corridor as a quality control check on the ODOT model and allow ODOT to better plan for the hauling and disposal of more than 300,000 cubic yards of excavated materials. 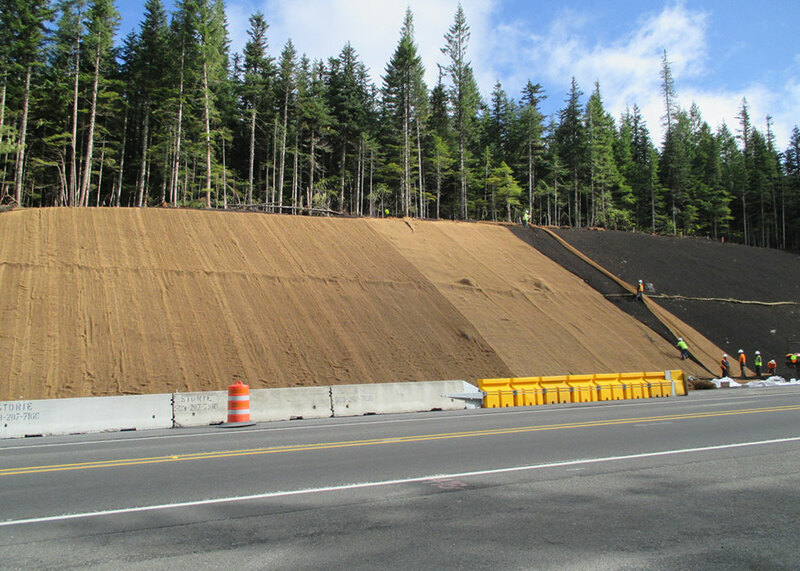 In total, 51,000 pounds of explosives, 317,804 cubic yards of excavation and thousands of truck trips were required to accommodate roadway widening, address rock fall hazards, and improve drainage.